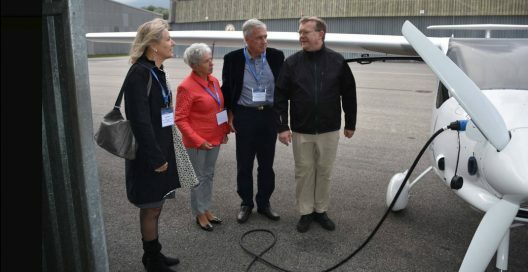 Grenchen Airport in Switzerland held the second SmartFlyer Challenge on September 1st and 2nd, with a good showing for the European – and especially the Czech electric aircraft industry. 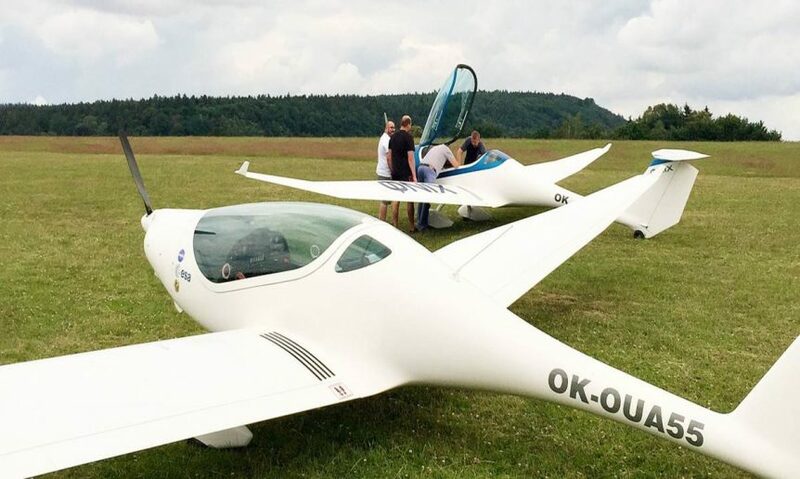 Although smaller in numbers of airplanes than last year’s premier event, the Challenge featured a series of top-drawer presentations by industry leaders, and the viewing of a new Czechoslovokian electric motorglider. Only two Swiss products made the show on their home turf, the SmartFlyer (an entry soon on this promising hybrid) and the Archaeopteryx glider. Pipistrel brought its Alpha Electro Trainer and a charging station. All other aircraft on display came from the Czech Republic, with MGM Compro powering five of them. An MGM motor also powered the Archaeopteryx. One promising newcomer, premiered at this year’s Aero Expo in Friedrichshafen, seems to have a variety of ways to increase range and endurance with on-board range extenders, and ensure readily-available charging on the ground. Pure Flight Solutions, the manufacturer of the system, promotes the “possibility of solar support, or battery storage support for maximum charging power,” with four outlets providing up to 100 kW each. According to Pure Flight, the charger can accommodate aircraft and cars with CHAdeMO, CCS and ΦNIX connectors. The airplane is a development of the Phoenix motorglider which participated in the 2011 Green Flight Challenge. It was the only fully gasoline-powered machine in the contest, both the Pipistrel G4 and e-Genius being battery-powered and the Embry Riddle entry being a hybrid. The Czech developer attempted to produce an electric Phoenix with retractable gear, but did not make it in time for the Challenge. Jim Lee and co-pilot Jeff Shingleton flew the production version with a Rotax engine and finished with a creditable third place while garnering interest in the versatile machine. The new electric airplane looks like a modestly improved version of the seven-year-old machine, and features a Rotex electric REX 90 motor which produces 60 kilowatts (80.4 horsepower) from its 16.9 kilogram (37.18 pound) mass. It swings a new propeller designed especially for electric power. In-flight adjustable, the 1.6 meter (5.25 feet) two-blade unit weighs only five kilograms (11 pounds). The glass cockpit is simple, functional, and if as comfortable as the Phoenix your editor tried in 2011, desirable. Despite the reduced participation, this year’s Challenge helps establishes Grenchen as a serious community for future flight, and MGM Compro as a firm able to supply motors in a wide range of outputs and applications. We look forward to next year’s event, with a broader representation and some promising aircraft under development ready for their public debut.